As far as wildlife experiences go, Australia is known for having unusual wildlife, and Australian animals are unlike any found elsewhere in the world! From kangaroos and koalas, to the platypus and Tasmanian devil, Australia has a huge range of wonderful wildlife and exotic species which provoke a sense of wonder and awe throughout the rest of the world. But most tourists to Australia head straight for the big cities – and you’re unlikely to find a Kangaroo jumping down Bourke Street, or Penguins at Bondi Beach. So for those who want the chance to experience Australian wildlife, day trips are the best way to see them up close! For the past few years, one of our favorite travel apps has been TripVerse – we reviewed the app when it was released back in 2015, and ever since it’s held a central spot on the home screen of my phone. 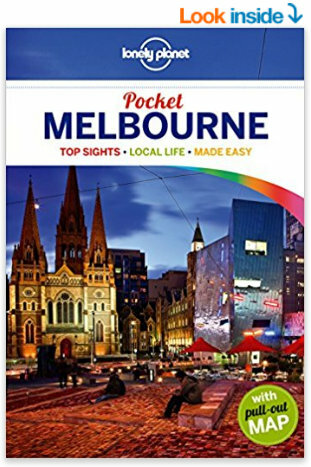 It’s a travel planning app which allows you to create a personal, pocketable itinerary you can read offline – an easy way to compile your itinerary when you’re planning a trip, whether that be a short weekend city break, or an epic 4 month road trips. And it’s free. Though with a growing community they’ve now integrated an activity booking service into the app. This means that when planning your trip, you can easily find things to do in your destination. 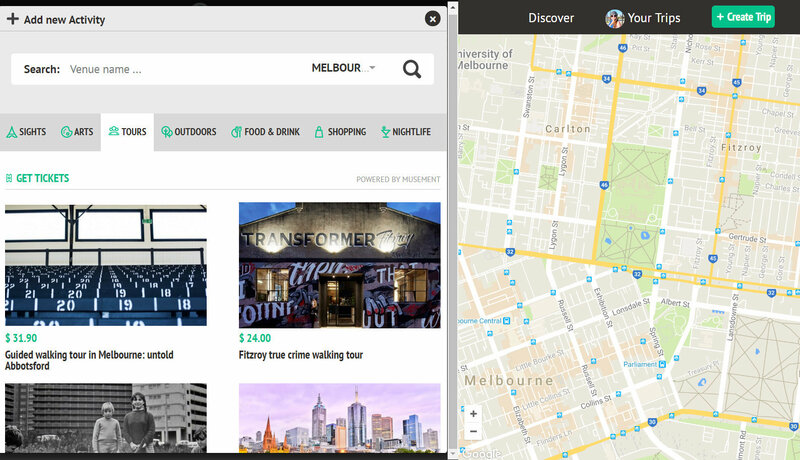 Whether you’re heading to Melbourne or looking for activities in Amsterdam, you can now add day trips and tours to your itinerary, booked directly from your phone (or desktop if you prefer to use their website). The booking feature is on web and iOS only. Android coming soon. Download free on iTunes. Since the activity booking service is a new feature of the app, I’ve reviewed the process below. 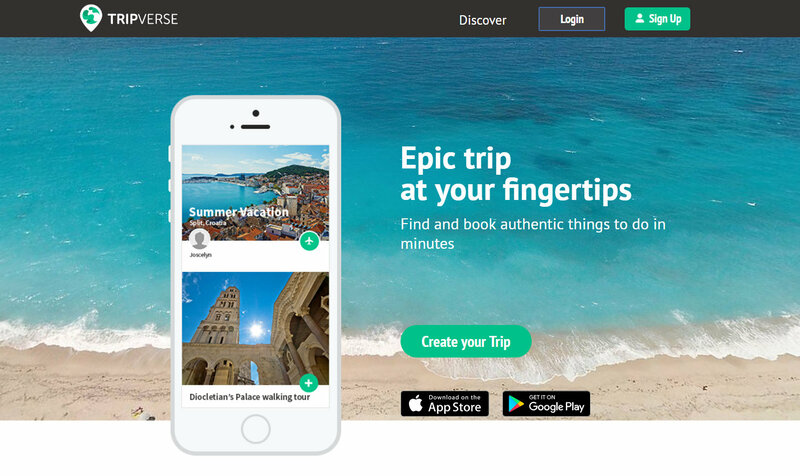 TripVerse claims that with their new activity booking service you can find and book authentic things to do within minutes. They don’t lie. Once you log in and create a new trip, you have the option to add an activity. It presents you with everything to do in your destination, under headings for sights, arts, outdoors, food and drink, shopping and nightlife. 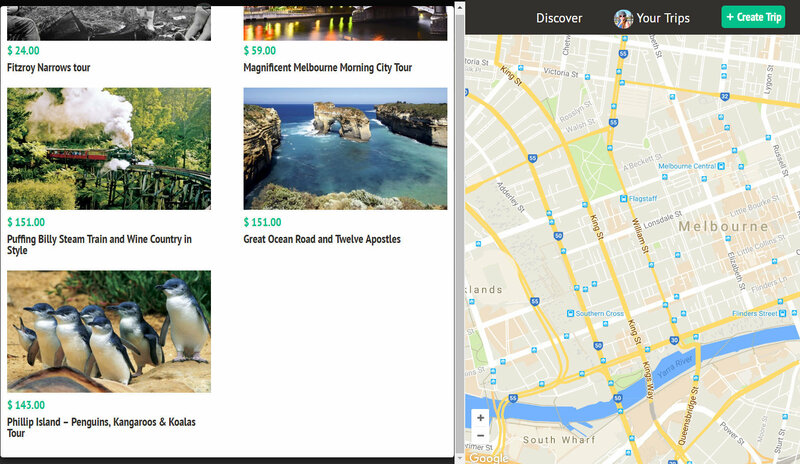 These are all suggestions which you can easily add into your itinerary, but the newest feature is a tab for tours. 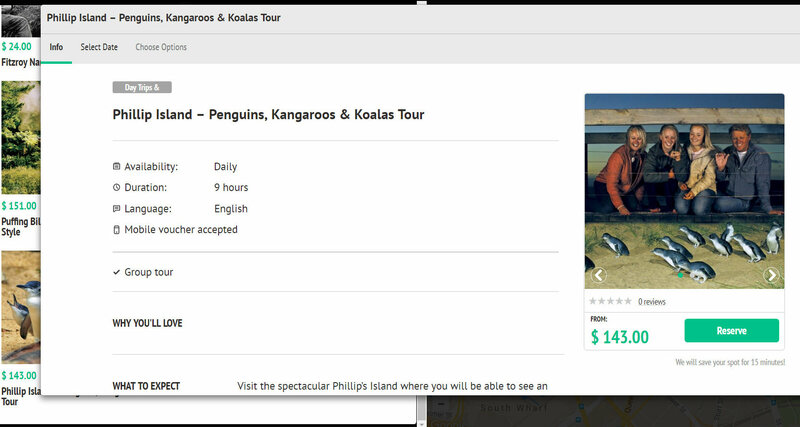 Using the tour tab for Melbourne, I found that there was a day tour out to Phillip Island called “Penguins, Kangaroos & Koalas Tour”. Perfect! 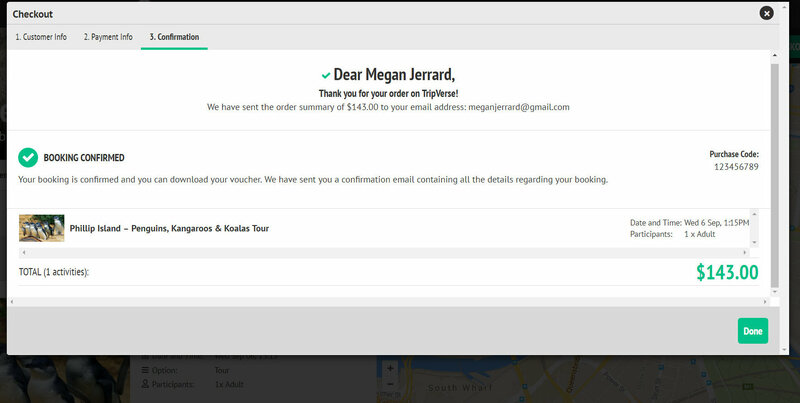 When you click on a tour, you’re given information like timing, price, what to expect, what’s included etc, and you can book it right there on the app / website. After you book it’s instantly added to your itinerary. The booking process was straightforward – you hit reserve, choose a date, and fill in your payment information. Keep in mind that the cost is listed in USD. 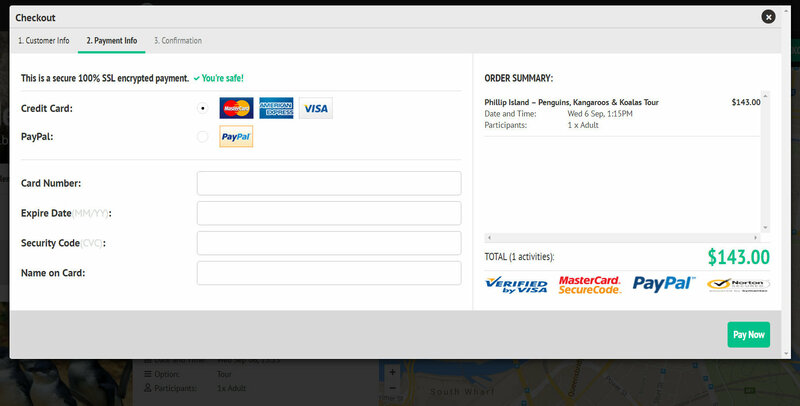 It’s a secure payment portal which accepts credit card or PayPal, and once your booking is confirmed you’re sent an email with the tour voucher. I instantly received an email which advised that my booking was confirmed and I would have a voucher in 48 hours. The great thing too, is that the tours they list are through only the most reputable providers. After I received my voucher I called the tour agency directly to confirm I was all set – they said yes. With a complimentary pick up from my Melbourne hotel, I boarded the bus and enjoyed the view as we made our way. The first stop was Maru Koala & Animal Park for up close and personal encounters with koalas, kangaroos, Tasmanian Devils and much more! We had an hour to walk through the park at our own leisure, hand feed Kangaroos, cuddle with koalas, and experience other native Australian wildlife like Tasmanian devils and emus. 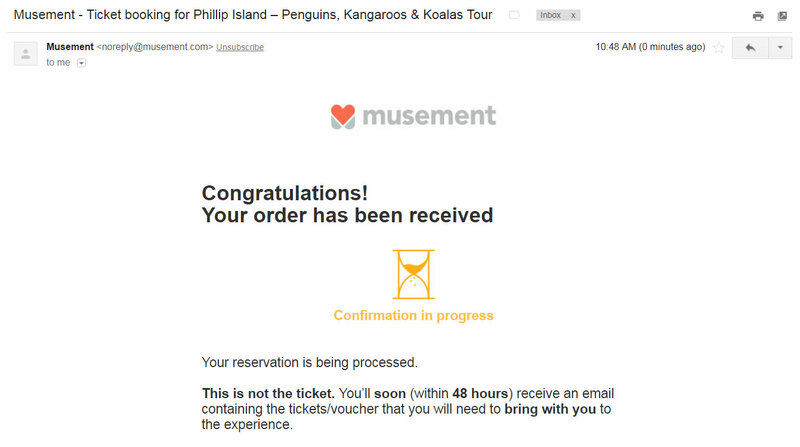 And then for the main attraction – Phillip Island. While the main attraction here is the famous Penguin Parade, Phillip Island also features a stunning coastline with great surf conditions and a range of wildlife including the largest colony of fur seals in Australia. It’s also the location of Victoria’s Motorcycle Grand Prix track, and our driver was more than happy to pull over allowing us to watch a couple of practice laps in session. So you think the koalas are cute – just wait until you see the Little Penguins. After visiting the information centre, we made our way down to Summerland Beach to witness penguin magic. 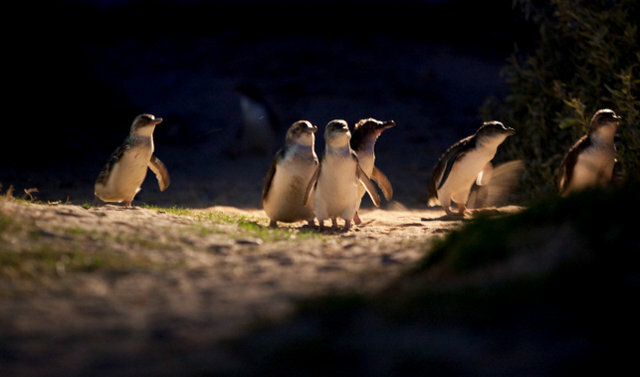 We take our place on the grand stands, and as the sun set, the wild Little Penguins emerged from the sea and waddled across the sand to their dune burrows. These Little Penguins are the smallest of the penguin species and Phillip Island is home to the largest colony in the world. It’s easy to understand why this wonderful spectacle is one of Australia’s most popular wildlife attractions. To protect these Little Penguins, all revenue generated from the parade is invested into environment and education projects. Unfortunately no photography or filming is permitted at the Penguin Parade after dark. Penguins have sensitive eyes and a bright, sudden flash or unusual light can frighten or disorientate a penguin. To ensure penguins keep coming back to this special area they ask that you don’t use your cameras, camcorders or camera phones. Though they have an online gallery where you can download photos of the Penguins to share with friends and family (below). At the end of the day, the bus dropped me back in front of my hotel, and I flew home the following morning (super cheap flights from Melbourne to Tasmania!). This was an incredible day trip which I wouldn’t have known about if it wasn’t for TripVerse. The booking process was straight forward and easy, and the whole experience from choosing a tour to getting picked up was super smooth. So what are you waiting for?! Start planning your next trip today! These koalas are adorable! I know they can be quite nasty sometimes (my Aussie friends say they like to pee on people and aren’t that friendly in reality-when they are in the wild) but I’ve always wanted to hold one anyways! Aren’t they cute! Koalas in settings like conservation parks and animal sanctuaries are normally fine, but yes, if they’re wild they’re like any other animal, and if disturbed can bring out a dark side!! They’re usually pretty mild, but I would definitely recommend appreciating them from a distance unless they’re domestic and there is a professional animal handler involved. 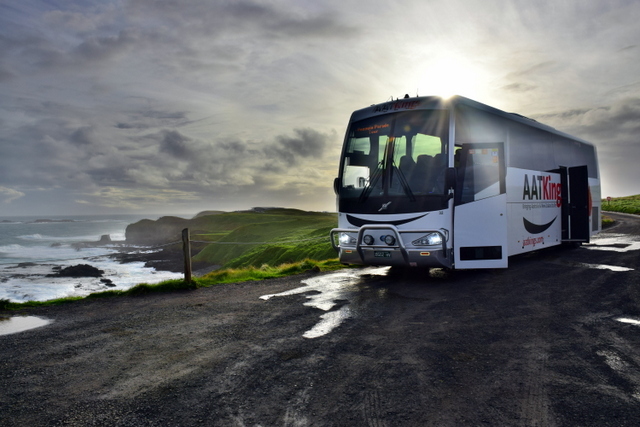 Glad we could introduce you to TripVerse Carl, and absolutely, Phillip Island is a gem! Highly recommend booking a day tour if you’re in Melbourne anytime soon. Look at those cute furry guys. Love ’em. I am fascinated by the wildlife in Oz because the animals there are so very different from anywhere on earth, in some cases. Those koalas are adorable and the devils are like an enigma; I know little about them, other than them making some rough sounds and also being carrion eaters, I believe. All in all, a win-win across the board. Definitely noted for when we eventually make our way to Melbourne, when we finally get to Australia. Hi Ryan, so glad you enjoyed the post, hope you have the chance to visit Aus soon, it sounds like you would have an amazing time enjoying our unique and crazy wildlife!! Most of the species here are definitely unlike anything else on earth. It’s true that Australian animals are really special…and adorable! 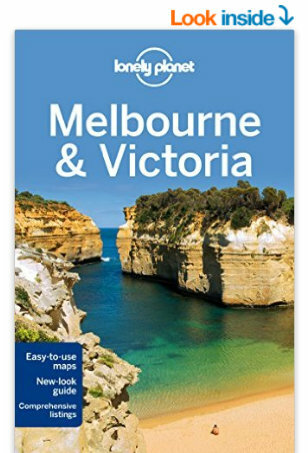 I had never heard of Phillip Island but thanks to this article I will make sure not to miss it when I visit Melbourne. The app seems pretty cool too and convenient, definitely worth a try! Glad we could introduce you to TripVerse – definitely a must-have app I can recommend. That’s what I thought!! The Penguin Parade was incredible – such a sight to see hundreds of them waddle from the beach up over the shore! I got to hold koalas in Australia, and it was such a highlight of the trip. I would love to book this tour, although they’d probably have to kick me out because I’d never want to leave! I definitely have to check out Tripverse. It sounds like a great app to use for planning activities. Awesome Lois! Haha it’s a bit like that – had to force ourselves to head back to the bus at the end of each stop – luckily he never drove off without anyone! Hey Meg! Thanks for sharing your review of TripVerse! It’s new to me but I love that it sounds so easy to use and that it’s free – can’t beat that! We got to feed kangaroos and hold koalas in Sydney and it was the best time ever! 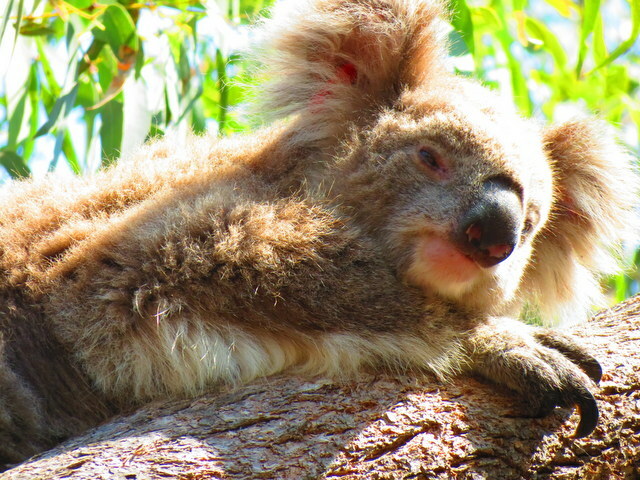 Koalas have really wiry fur which was a bit shocking – not as cuddly as I envisioned. The penguin parade sounds like something I must see! If they could just figure out how to get Morgan Freeman to give the play-by-plays it would be absolutely perfect! Sounds like you had a fabulous time in Australia – awesome that you got an up close and personal encounter with wildlife too. OMG that would be amazing if Morgan Freeman narrated the Penguin Parade – Brilliant idea!! Something they definitely need to do!!! it’s really the tours and experiences that make a trip in my opinion. I’ll heard great things about Tripverse, will give them a look for my upcoming trip! 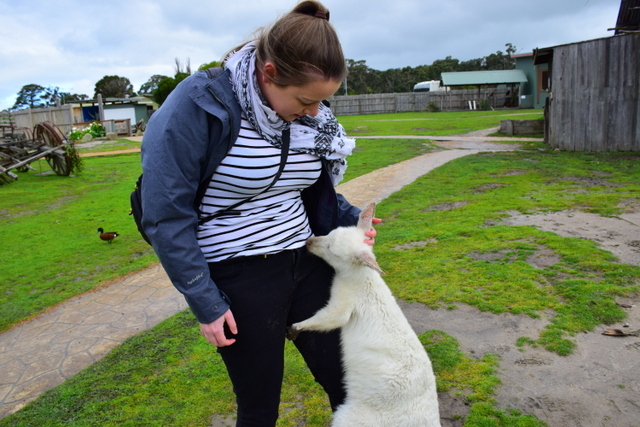 The white animal is an albino Kangaroo – totally gorgeous – he clung onto my leg for like 20 minutes and wouldn’t let go!! What a great day! You got really great shots of the animals and I’ve never seen anything like the penguin parade. If I head to that part of the world, I’d definitely be looking to be out of the cities and into the awesome wild! Thanks Andi :) The Penguin parade was incredible – so amazing to watch hundreds of them make their way from the water over the beach. If you do have the chance to visit Australia, definitely recommend day trips out. 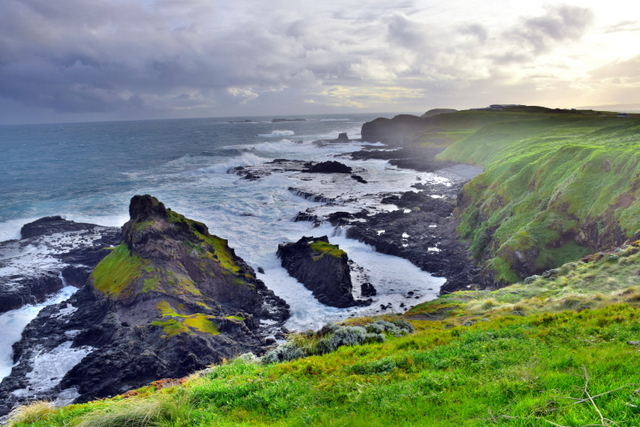 Rightly said, Philip island is a must see in Australia. We, however, did a self-drive from Melbourne. Loved the Koala conservatory, Penguin parade and just the sweeping views of the cliffs from the Nobbies centre. My son was, however, busy at the multi-media centre hopping with the penguins and such! baring the cold at penguin parade is absolutely worth it when the cute Penguins come in! It was definitely windy and very, very cold! But totally worthwhile as you said. This sounds like such a great tour! Don’t get me wrong, I love cities, a lot, but in the end they are always kind of similar. This is why i love to visit the country site as well. I absolutely love animals (except wasps, leeches and mosquitos) and doing such a tour would be definitely on my list. You showed really detailed how to book it, thank you for that :) Even though it’s kind of sad that you cannot take pictures of the penguins, I think it’s a good thing and one more reason to go there and visit it for yourself. Thank you for this great article! I agree with you that once you’ve seen one city, you’ve usually seen them all – everything is getting so cookie cutter these days! Which is why I love taking day trips – you get to see a unique, and more authentic side of a destination, and it’s not like anything you’ve seen before. Haha I’m with you there on a love for animals with the exception of insects – especially mosquitoes!! I agree that it’s disappointing not being able to photograph the penguins, but in the end it’s the experience which matters, and it’s completely understandable that the point it to protect the animals and not disturb their behavior. Hey, the app sounds like something one should use. I’ll definitely check it out. So nice that it gives you tour suggestions. Absolutely Danijela – we’ve loved using TripVerse over the last couple of years to plan and store our itineraries, so now it’s even better that you can book tours right there on the platform. Being able to do everything through the one app makes life so much easier! The app looks really good and handy that you can use it offline, I’m going to check it out. I would love to go to Philip Island as I love penguins! I think that is so good that you cannot scare the penguins with camera flashes too. Going to add this to my Australia list! And I agree – it’s disappointing of course that you can’t take photos of the Penguins, but ultimately it’s for their protection, and I like that it makes you live in the moment and enjoy the experience – we’re far too used to living through our devices these days!! Not really a fan of Wildlife but I’m a new fan of TripVerse. I like that it gives ideas on places to visit, so traveling would be more fun. 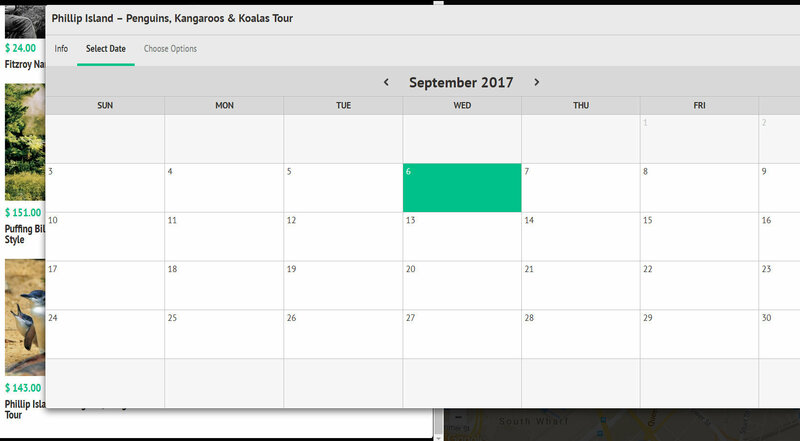 Also, I like the tour booking feature, it’d reduce the usual tiring process of booking. The UI is also flashy. I’d give it a trial. 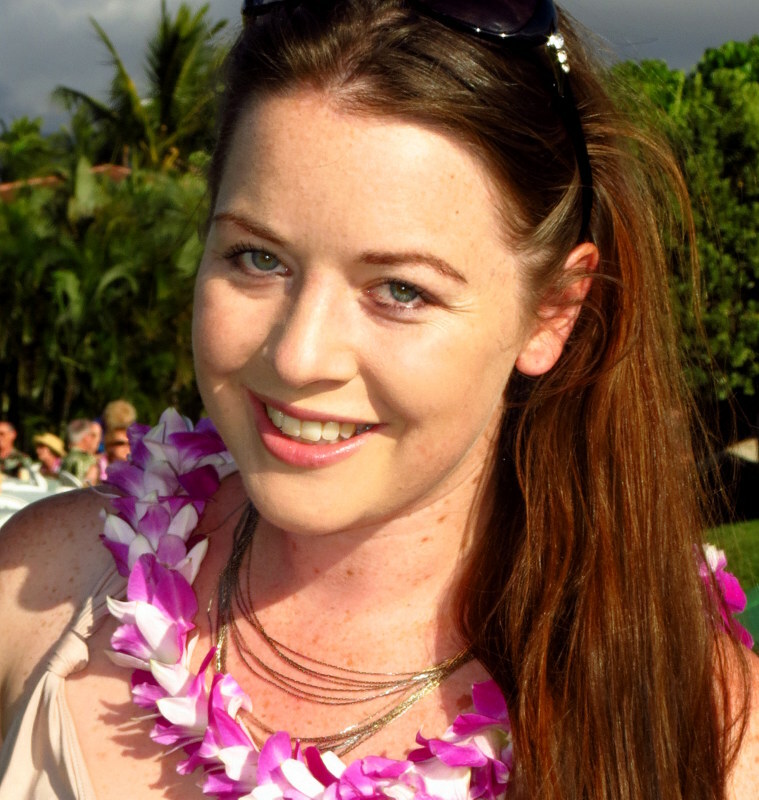 Absolutely Lydia – glad we could introduce you to TripVerse :) Even if you’re not a fan of wildlife – their section for recommendations on what to do is really diverse and covers all interests. And yes, it’s amazing to be able to book a tour right then and there from the app – nice to have everything in the one place, makes it so much easier! Haha nope – I think there are far too many of the human species to have penguins at Bondi – we probably scare them all off!! Hope you have the chance to visit Aus soon! Awwww…was that a white kangaroo? It is so adorable! Does this tour booking app also give you reviews so that you can see what other people say about it? It’s a great idea to be able to plan your itinerary and then find and book a tour and add it to your itinerary. I love how tours almost always give you more information or take you places you couldn’t have gone to as easily on your own. 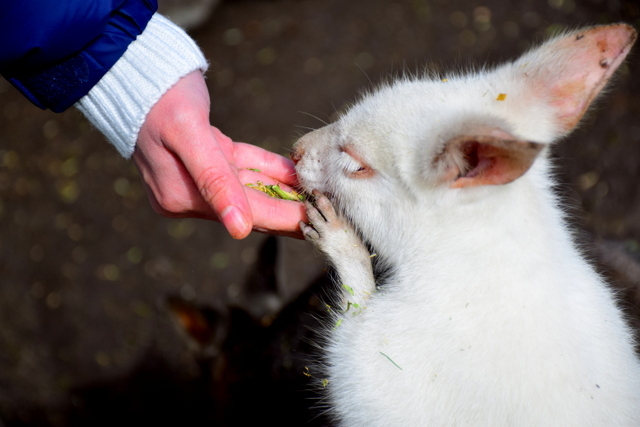 It is indeed – an albino Kangaroo – very rare, and way too cute!! Yes, so when you click for more information on a tour, there are reviews and a star rating listed under the photo gallery. Because the activity booking feature has just been released within the last week, a lot of the tours don’t yet have a review, though the TripVerse community is pretty large, so I can see feedback being posted pretty quickly. I agree, it’s an incredible idea to be able to plan your itinerary but also book tours and have the details instantly uploaded. Nice having everything in the one spot – can stay very organized that way! for the great tip about the Ap ‘Tripverse’ – I haven’t actually used travel aps, but that’s going to change. I remember when I was about 12 I saw the Penguin Parade for the first time, I was absolutely amazed and to this day have such good memories of that trip – and, yes to the frigit cold winds, remember that too. Never seen a white kangaroo though, pretty cute. Travel apps are great! One of those things though that you’ll become addicted to after you realize how handy they are :D TripVerse is a great first download. So psyched that you had a memorable experience at the Penguin Parade – it’s such a special place! It was the best day out! Wouldn’t have known about it if it weren’t for TripVerse. 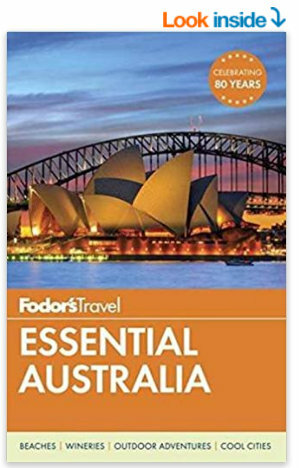 Can highly recommend them for your next trip – hope you have the chance to visit Aus in the future! hi megan, still following you since I met your blog! i had the pleasure to cuddle a koala but never seen a penguin..Of course I never heard about Tripverse, maybe because i am from europe , don’t know…anyway thanks for your sharing, always love to read your posts!! Hi Rocio, thanks for still following our blog! So fab that you had the chance to cuddle with a koala – if you have the chance to visit Australia again, I can highly recommend the Penguins, they’re so cute!! TripVerse works worldwide, so can highly recommend them for your next trip no matter where you choose to go. So great that the Penguin Tour operators have protected the penguins by banning photos – they’re so cute and human-like it’s easy to forget they’re actually wild animals. A highlight of the 2017 ANZANG photo competition for me was a stunning pic of two penguins silhouetted against the bright lights of Melbourne – a reminder of our impact on their habitat. Kangaroos, on the other hand, are one of the few animals to have actually thrived post-colonisation! Absolutely – I’m glad to see the industry in Australia work to promote conservation and responsible tourism, because our presence can have such a negative impact if handled irresponsibly. I didn’t catch the ANZANG photo comp – but will Google it now, I love that they’re promoting socially responsible messages through the winning entries. Tripverse seems like a really easy and good app to work with. 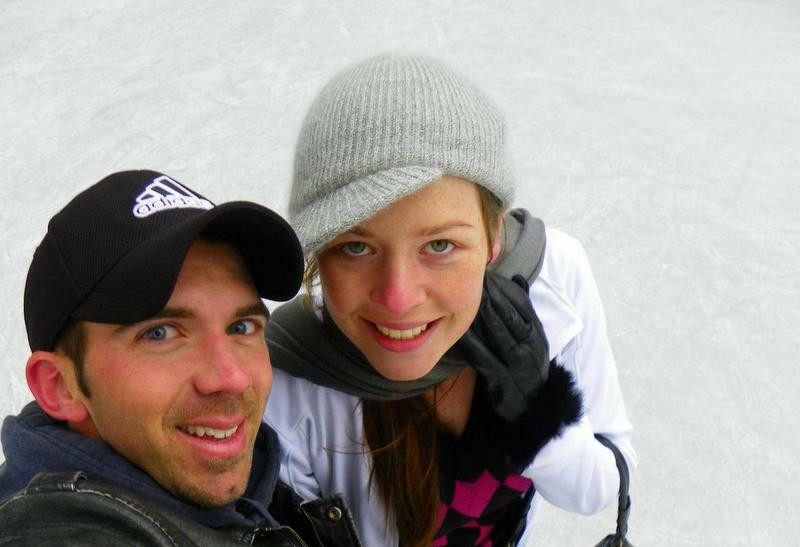 I enjoyed Philipp island, I loved the penguins a lot. I remember just feeling really cold but still, I enjoyed the experience a lot. So glad you had a fabulous time on Phillip Island too! Yes, it was SUPER cold and windy when we were there though I had planned for that – a jacket and a scarf and I was fine :D! Thanks for the great guide! The animals looked absolutely adorable and it’s great that you actually got to interact with some of them. If I got to cuddle with koalas, I’d be in absolute heaven! You’re welcome! Glad you found it helpful :) Truly is one of the best wildlife experiences – so glad I found out about it while searching TripVerse! You are right! I thought the Koalas are adorable but those little penguins!! So lovely! I would head there to visit these special people at least! The cities are tempting in Australia, but getting away has so much in store! TripVerse looks like a great app. I should try them. Thanks for sharing the details on using it! Definitely one of Australia’s best wildlife experiences – and the best from Melbourne for sure! The cities are great bases, especially if you don’t have your own transport, but if you don’t take day trips into the surrounds you’re definitely missing out! To be honest, I’d never heard of Tripverse, but now I’m definitely interested in checking it out. I love that you can book things directly within the app without having to piece together parts of your itinerary from all over. Phillip Island looks like a fantastic day trip. I love spotting wildlife when I travel and I can only imagine how incredible seeing Australian wildlife would be. The penguin experience though, would have been my favorite. They’re just so cute and must be so interesting to watch. Glad we could tell you about TripVerse Jackie! Yes, it’s so nice being able to do everything for your trip planning in the one place, and that it updates your itinerary straight away. Super useful! 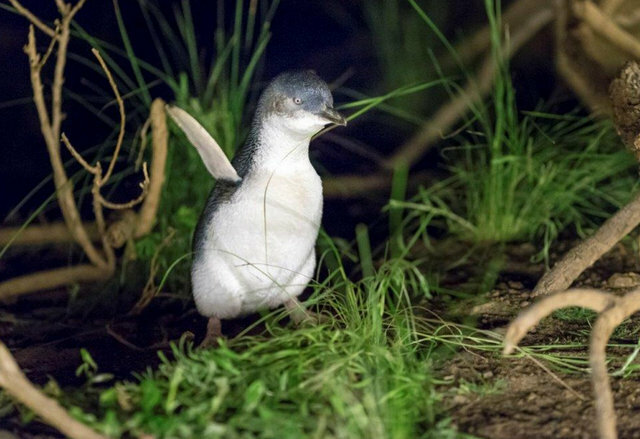 Can highly recommend Phillip Island also – sounds like you would love the Penguin Parade! I love it when i hear of an app that is helpful and recommended by ReAL people. It can make travel so much easier sometimes. Aren’t those pengy’s just the cutest??? In Cape Town we have a little beach called Boulders Beach where you can pay to actually just hang out – swim, tan, chill – with the penguins who live there. It’s pretty amazing and so far I feel like people have been pretty responsible about it! The Penguins definitely are the cutest! We were in Cape Town last year and LOVED Boulders Beach!! Amazing to have such a cool wildlife attraction in your home town :) So glad to hear that people approach interaction with the wildlife responsibly – we got some awesome photos, I couldn’t believe you could get up that close!! Australia is indeed a unique destination with respect to wild life. 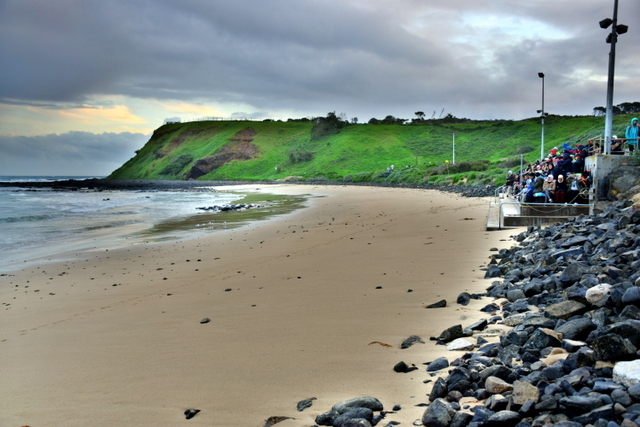 Phillip island seems to epitomize the spirit of the great outdoors of Australia. 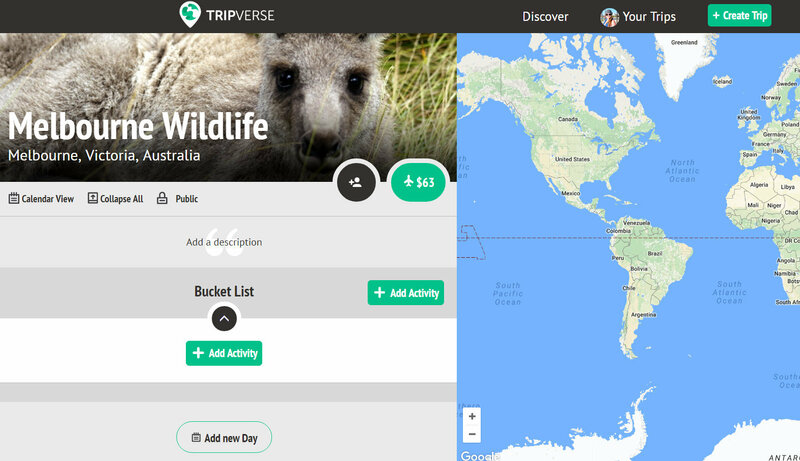 The Kolas, Kangaroos, and penguins make for a great experience in the midst of pristine nature.Tripverse sounds like a nice app that makes planning your travel so convenient. Absolutely – Australia is one of the best countries in the world if you’re a wildlife enthusiast – so many rare species found no-where else on earth! OMG, I want to see the little penguins. What a marvellous experience and such a special part of nature. Of course the koalas would be fun, too. 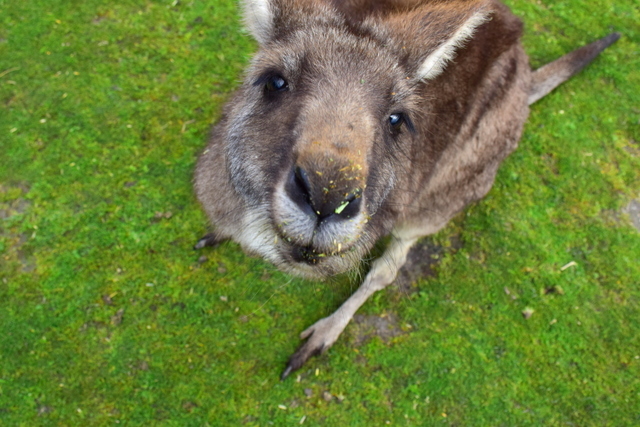 When I was in Australia I went to Kangaroo Island and it was unforgettable. Tripverse sounds totally helpful to find unique tours. Megan this is great! It is such a lovely article and I find that the photos are lovely as well. 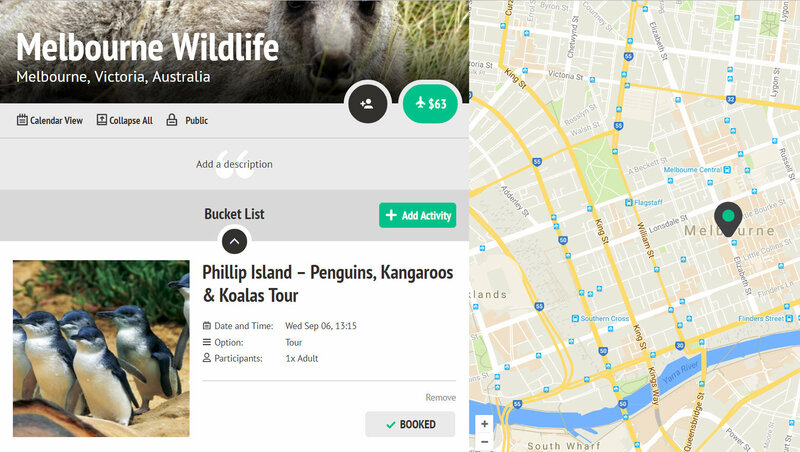 It’s just amazing how you put all these together on “Phillip Island Wildlife Tour: Day Trip From Melbourne Booked via TripVerse” with such great tips! Looking forward to more of these.